ROUTE 1966-THE OUTCASTS AND SJ & THE CROSSROADS-TEXAS ROCK AND ROLL GARAGE BANDS !!! 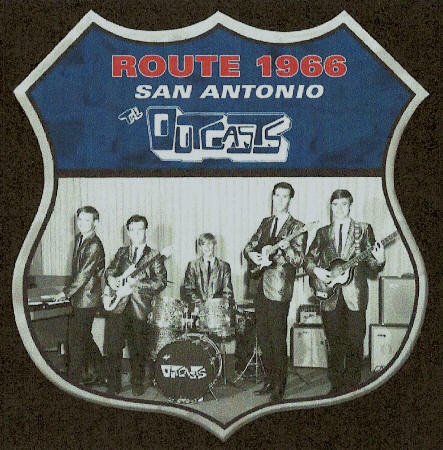 The Outcasts (of San Antonio) whose signature song I’m In Pittsburgh (And It’s Raining) has been covered by numerous neo-60’s bands is just one of their 12 great recordings on Route 1966, and all of them have been re-mixed from the original four track masters for the first time. These recordings reflect the short-lived era, when the Farfisa or Vox Continental was a mainstay for a rock and roll band from Texas, just before the psychedelic music craze got underway, led by The Psychedelic Sounds Of The 13th Floor Elevators. Also included on this album is S.J & The Crossroad (of Beaumont) with six of their best and rarest tracks from 1966, issued together for the first time on CD.